SC Small Business Development Centers: Big on small business. Big on South Carolina. For more than thirty years, entrepreneurs have turned to South Carolina Small Business Development Centers (SC SBDC) for help expanding an existing business or starting a new enterprise. Through free consulting, low-cost seminars and links to resources, the SC SBDC helps jump-start startups and makes existing businesses thrive. SC SBDC consultants work with companies in all stages of development - from a person with an innovative product but no idea how to move forward to the owner of a company looking to capture new markets. A statewide organization, the SC SBDC has 21 area centers in communities across South Carolina, serving both urban and rural business needs. The SC SBDC helps more than 6,000 clients each year. Since 2006, the SC SBDC has assisted the startup of more than 500 new ventures and helped generate more than $383 million in capital formation. In the past five years, SC SBDC consultants have assisted in bringing more than $1 billion in government contracts to small companies in South Carolina. The mission of the SC SBDC is to advance South Carolina's economic development by helping entrepreneurs grow successful businesses. This means not only assisting the formation of new ventures but also finding ways to help existing businesses to compete in a demanding market and faltering companies to stay on course. Consultants have often been entrepreneurs themselves so they know how first-hand the importance of an accurate business plan or what a financial institution looks for when deciding whether to fund a business. Every SBDC carefully tracks outcomes, keeping close tabs on the number of clients served and the end results of each entrepreneur's journey. SC SBDCs offer free, confidential consulting on financing, marketing, employee management, importing and exporting, technology, market expansion, bookkeeping, manufacturing, government procurement and nuclear industry opportunities. There are also programs for veterans and minority-owned businesses. SC SBDC programs are constantly evolving to meet the needs of an ever-changing economy, providing much-needed services to South Carolina's small business community. To advance South Carolina's economic development by helping entrepreneurs grow successful businesses. The SC SBDC shall be recognized as the gateway and proven provider of small business assistance driving entrepreneurial growth and success. State and local communities experience economic growth, reaping the benefits of SC SBDC contributions. 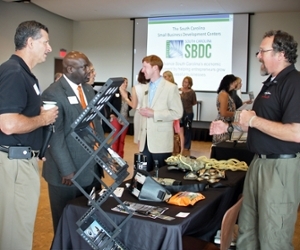 The SC SBDC is a partner of choice in university/public/private collaborations to grow small business and its leaders. SC SBDC innovative tools and practices are trusted by South Carolina's small business owners to give them a competitive advantage in a dynamic economy. 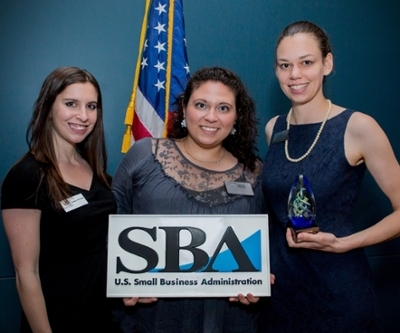 The SC SBDC is recognized as a world-class team that leverages its network and resources to get economic results. Stakeholders recognize the SC SBDC's value and provide sustainable funding to ensure continued economic impact. Integrity: The SC SBDC is committed to high ethical standards, always doing the right things for the right reasons. Commitment: Responsively serving clients is our core mission and first priority; working individually and as a team, we anticipate and meet client needs with relevant, leading-edge services. Professionalism: We are dedicated to cultivating a capable team of business consultants that demonstrates unwavering respect and courtesy for clients, stakeholders and ourselves. Confidentiality: We vow to maintain the confidentiality of client information, ideas and results. Accountability: We hold ourselves to the highest order of responsibility and stewardship with clients, stakeholders and ourselves.